Robson Industries Inc. Location | Robson Industries Inc.
Robson Industries Inc. is located outside of Philadelphia, Pennsylvania. 40% of the United States population is located within a day’s drive, and with Philadelphia International Airport just a half an hour away, we support customers and projects all over the world. Robson Industries Inc. Water Cooling Systems have been installed across North America, Europe, Asia, and the Middle East. 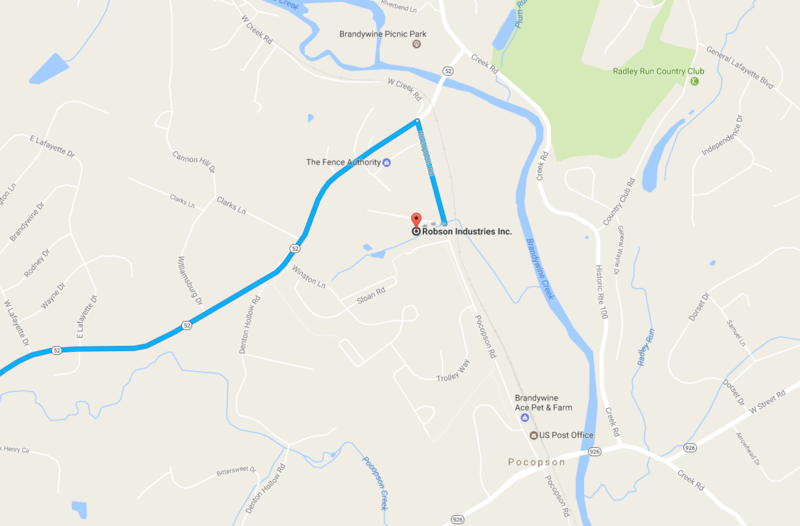 Some roads and bridges near the borough of West Chester (founded in 1786) are too small for large trucks. It’s important that you approach our shop from the south. 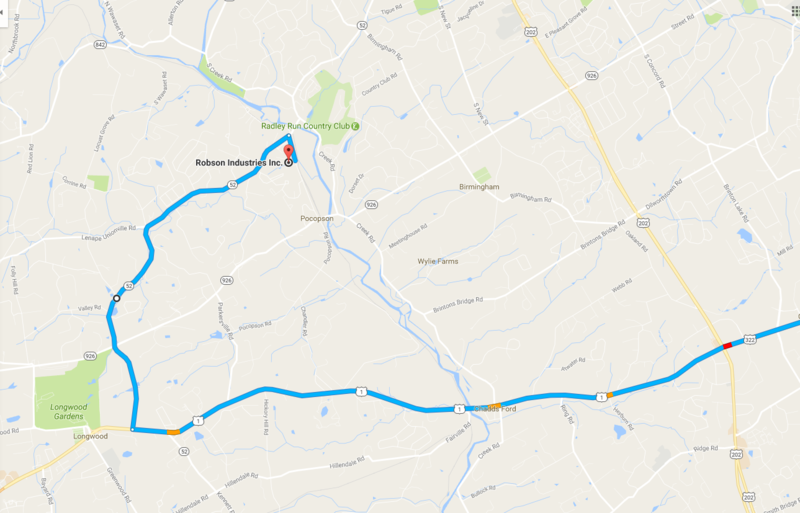 From Route 1, turn on to 52 North, then make a right on Pocopson Road.